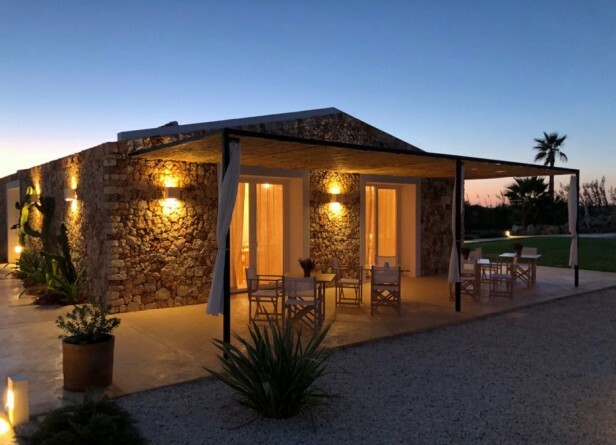 The Ses Talaies agrotourism, run by Juana, has everything you need to be able to disconnect in your holidays, it is quiet and charming, a refuge away from the hustle and bustle of urban centers. An oasis of tranquility in the paradise of Menorca. The direct and close treatment and the care of the details is one of the characteristics of Agrotourism Ses Talaies. Juana is at your disposal at all times because you feel at home. She has thought about the decoration and all the details of the accommodation of 10 rooms occupying the old stable of the rustic farm, 5 on the north face and 5 on the south side. All rooms have a small outdoor terrace with access to the pool. The decoration of the rooms is inspired by the typical elements of the island. Natural and artisanal materials to create an atmosphere of tranquility and calmness. The details are made of esparto, of the white and stone color of the dry walls so characteristic of the Balearic Islands. 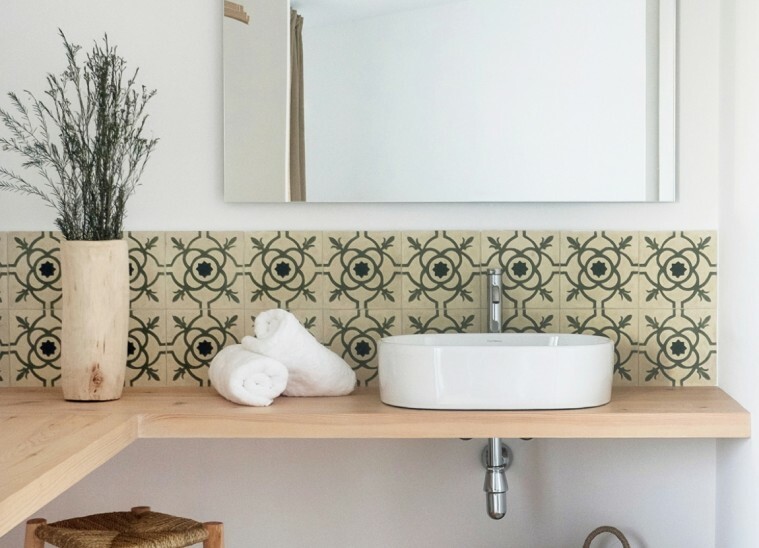 Tiled in the bathroom, they have been specially requested so that each room has a border and different colors. 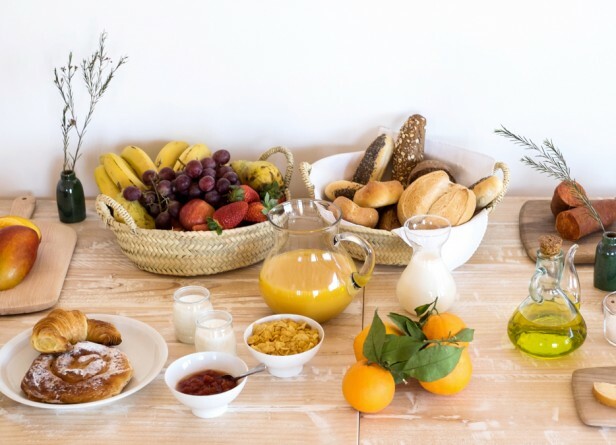 Enjoy, with intensity, the flavours of all native products, such as milk, cheeses, sobrasada or ensaimadas and croissants that we select with dedication and that we serve every morning. And we are committed to the local product and strive to enhance the quality of breakfast we offer. Our orchard and trees give us seasonal fruit (plums, watermelons ...) that we serve fresh and juicy or cooked in delicious homemade jams. Crossroads, scale of towns and civilizations, Menorca has been the scene, since ancestral times, of the oil culture. A production that was practically interrupted at the end of the 20th century and which, for a few years, is recovering thanks to local producers who are committed to offering a product of proximity and high quality. 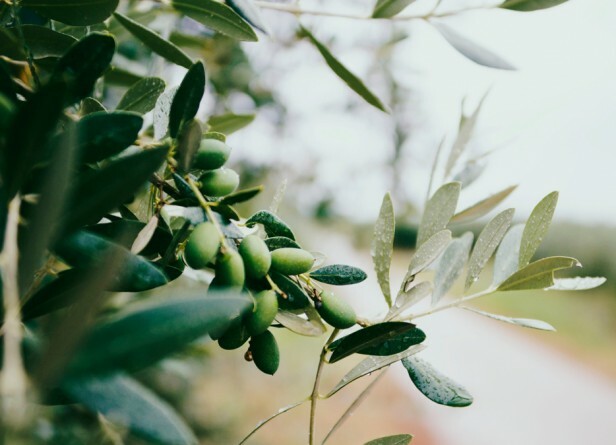 From Ses Talaies we have joined the interest to recover the oil production with the sowing of the olive trees in the four hectares of land of the farm. 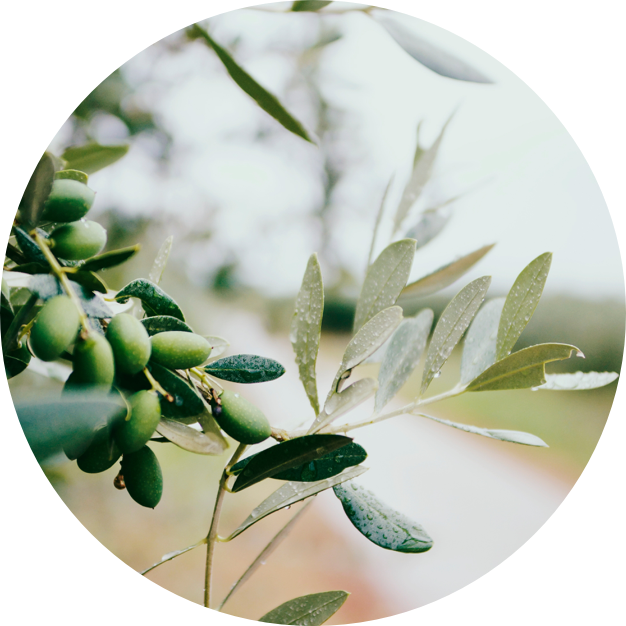 The illusion is to start a project that will allow, over the years, to taste, at the breakfast table, oil made on the farm itself. The estate of Ses Talaies owes its name to the presence of three talayots in only four hectares of land. 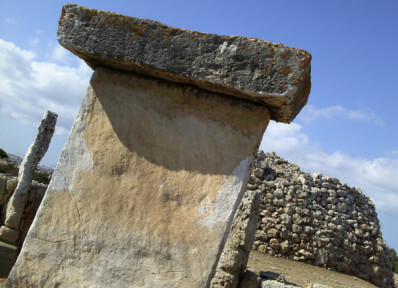 These stone towers, with a circular or elliptical plan that are imposing throughout the island, are the heritage of the first inhabitants of Menorca. The talayots impress by their size, their different shapes and typologies. Its charm is incredibly powerful. They are elements of the past fully integrated into the landscape and territory that connect us with the most magical and mysterious Menorca.